CHECK BEFORE SEARCHING! 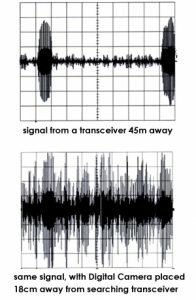 – All switched on electrical devices must be at least 50cm away from your transceiver during a search – in practice, this means placing them in your rucsac. We advise you to put all electronics in your ruscsac and check that your phone is switched off before starting a transceiver search. Anything with a touch screen or a magnet is the biggest concern, as these create the most interference. Avoid wearing chest mounted action cameras and heart rate monitors, as these sit too close to your transceiver. Don’t use phone apps to control remote cameras via Wifi or Bluetooth. If you have a pacemaker, wear your transceiver in a secured trouser pocket rather than in a chest harness. Don’t buy ski jackets with magnetic buttons and never use battery heated gloves. 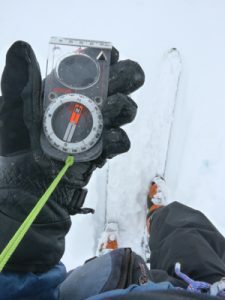 Clearly, there are plenty of situations where it might be a good idea, or necessary to use electronic items whilst backcountry skiing – such as a GPS for navigation in poor visibility etc. Cameras – if you want good photos, it’s still best to buy yourself a decent camera, rather than relying on your phone! Lift Passes – these have been tested and found to be Ok. So how big a problem is this? Currently, we’ve identified the problem and how to avoid it, but at the time of writing there aren’t any detailed statistics available regarding the number of fatalities that electronic interference may have contributed towards. What we do know however, is that it was first discovered following a failed transceiver search and a fatality, so it’s definitely a serious issue. 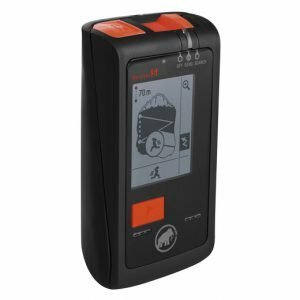 Some of the newest transceiver models can now detect interference and warn the user – both the new Baryvox and Baryvox S models from Mammut can do this (up to a point – it’s still not 100% reliable). Like technology, working norms and safety protocols evolve over time: for instance, the “put all electronics in your ruscsac and check that your phone is switched off before starting a transceiver search.” instruction is a new one, in response to the increasing number of touchscreen electronic devices that people now use and wear all the time.